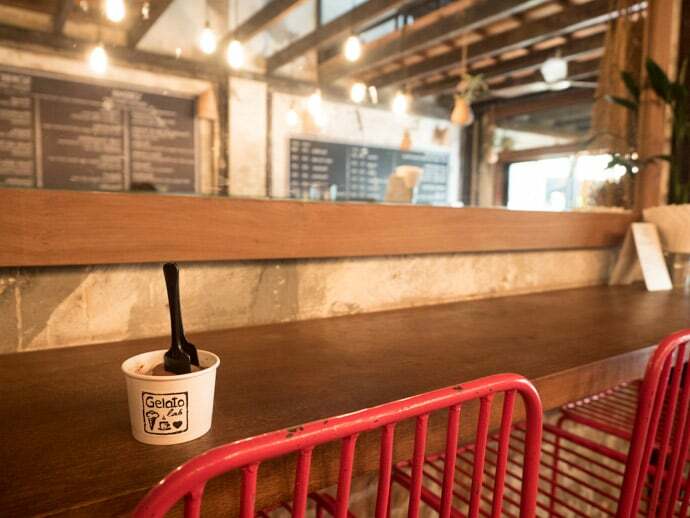 After a day of exploring Angkor Wat or the temples, or a morning uncovering more of Siem Reap, ice cream and desserts may be a recurring vision on ‘what do I feel like’ lists. 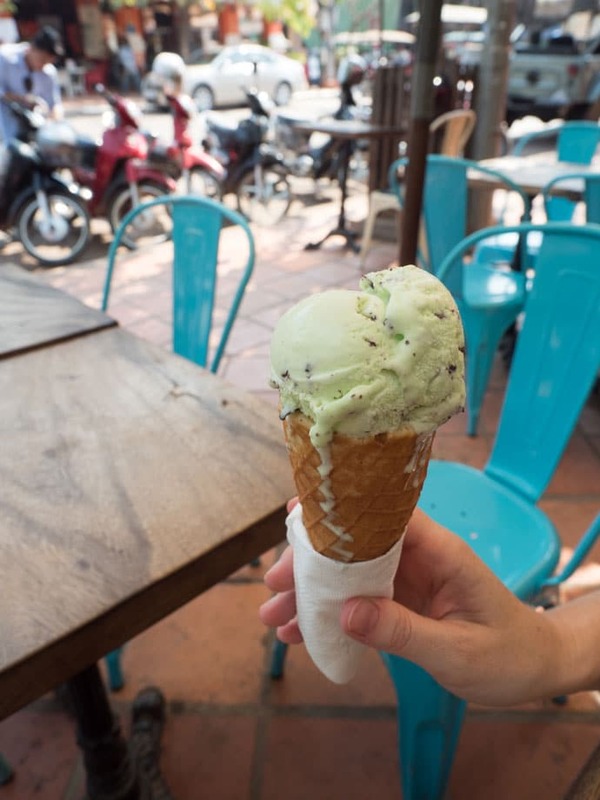 Whether it is humble ice cream or Cambodian and Khmer desserts in Siem Reap there is something for you. We had the ‘Mint Chocolate Chunk’ which was Criello 70% with Fresh Mint Leaves. It was creamy and refreshing, not too sweet. So good when you strike a mint ice cream that tastes of mint, naturally. We sampled just about every flavour before deciding on ‘Cioccolato’ being 80% Organic Dark Chocolate from Papua New Guinea. You know those moments when you need chocolate, you get chocolate and it exceeds your desire? Well we got that feeling. The ice cream was so creamy and chocolaty. Cute ice creamery designed well with a nice ceramic shop next door if you want to have a peek afterwards. They had a good ice cream selection as we entered but chose some of the more extravagant desserts. 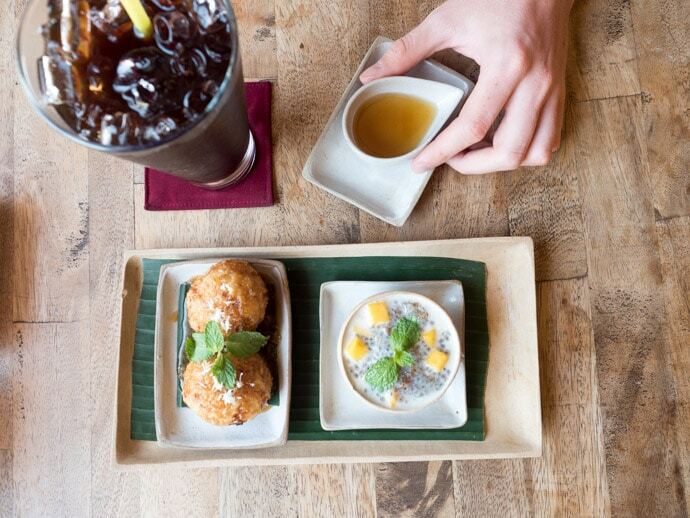 Kaya Cafe is a great place to enjoy traditional Khmer desserts in Siem Reap as they are made daily and are delicious. Head upstairs and eat your deliciousness looking out to the street. 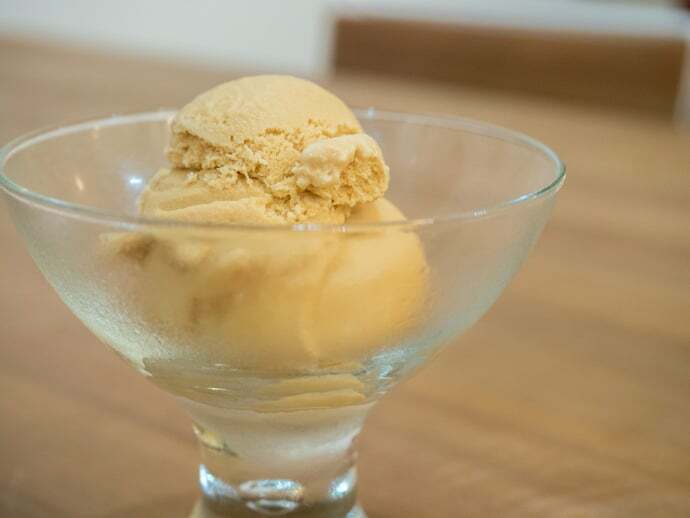 We tried the ‘Caramel And Cashew’ Ice Cream and it hit the spot. Nice Caramel ice cream with good creaminess. Upstairs is a great area to relax, charge your device or plan the next day in Siem Reap! Ok. Yes these guys are really only their for tourists, but they are still delicious. Whatever your fillings or toppings we are sure it will be a hit. We loved ‘Milk and Milo’, condensed Milk and Milo. At $1 you can’t go wrong. Almost a hybrid of crepes and crispy roti. The Glasshouse is within the Park Hyatt Siem Reap. There is always something special when it comes to 5 Star Hotels. Yes the ice cream comes with more of a price tag ($3.50 per scoop) but the setting is one of luxury and ultimately they sell great ice cream. 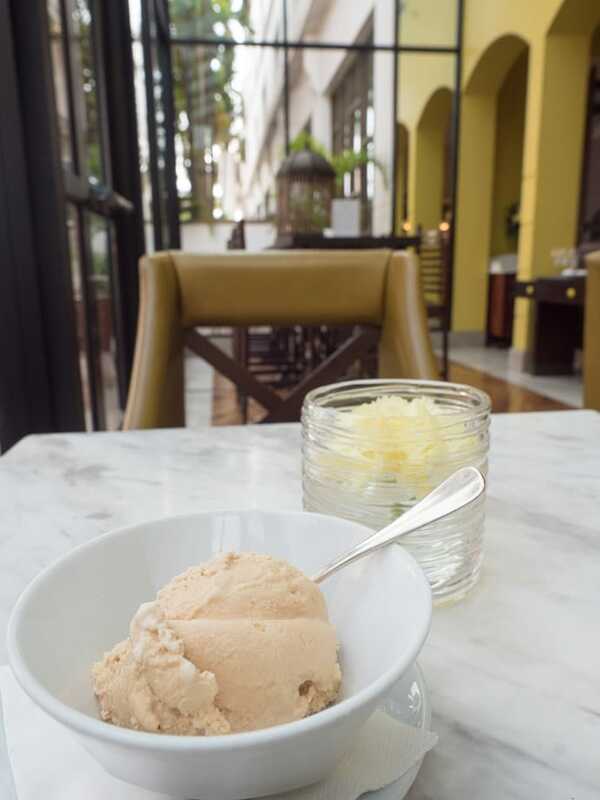 We had the ‘Palm Sugar’ Ice Cream and it was all those things you look for in good ice cream. Great spot to soak up some air-con and refresh in Siem Reap. 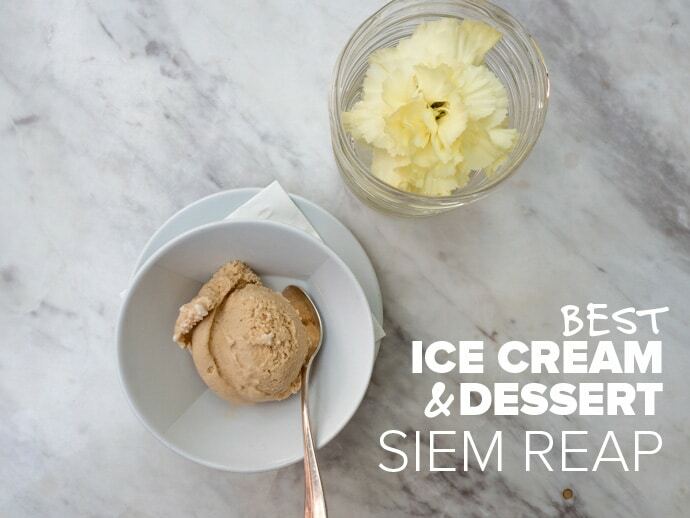 There are many other places for ice cream and desserts in Siem Reap. 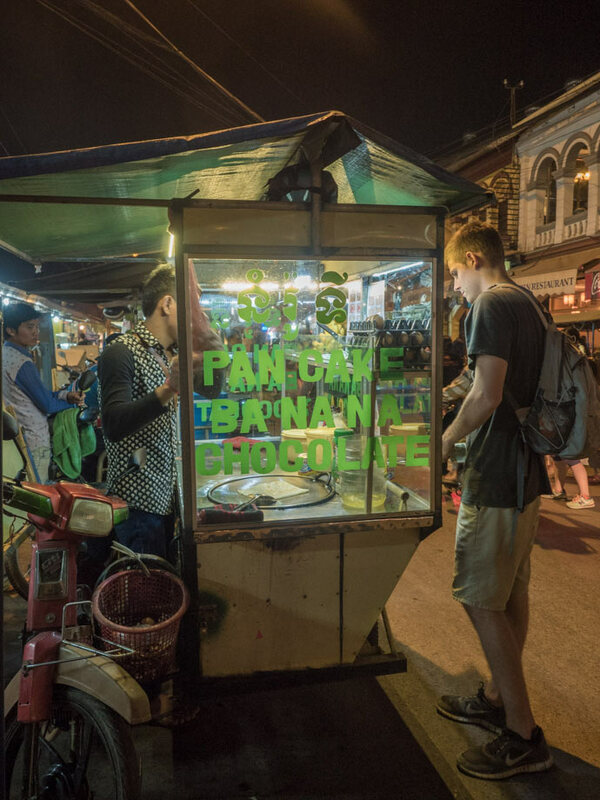 Another point of call for traditional desserts is the ‘Old Market’ Psar Chaa. One dessert that we really wanted to try but escaped our mouths was the infamous ‘husband killers’ (Nom Somlap Pdey) which are small, round rice dumplings with a centre of liquid palm sugar, rolled in sesame seeds and topped with coconut shavings. The get their name as there are stories that some Cambodian husbands have choked on these balls after a night of drinking. Next time. Next time I will find you, and I will eat you. For Khmer and Cambodian Desserts Kaya Cafe is a great setting to try some delicious well made and presented local treats. I have already tried some of the ice cream places you mention. Kaya Café sounds lovely, but according to Googlemaps it has permanently closed! Will try Gelato Co! Didn’t know about it!